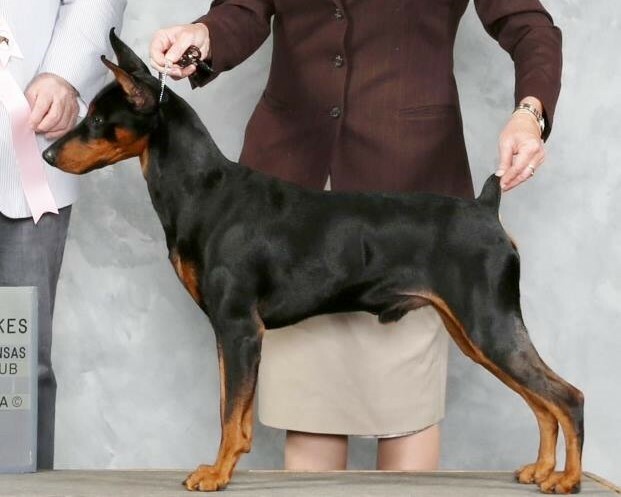 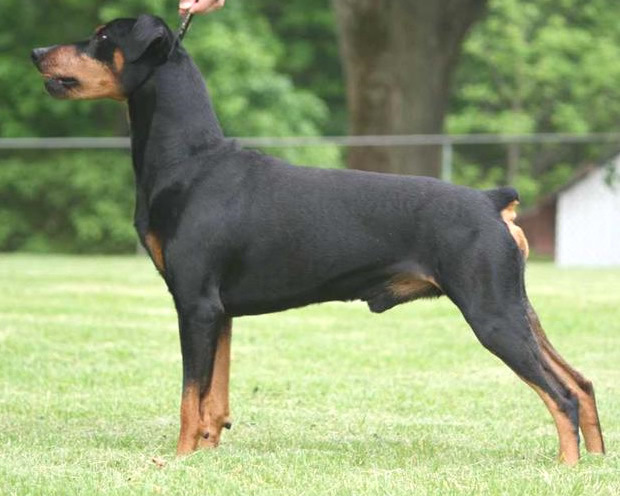 Mr Pickles (Prince) #8 German Pinscher in the USA before he even finished his Championship. 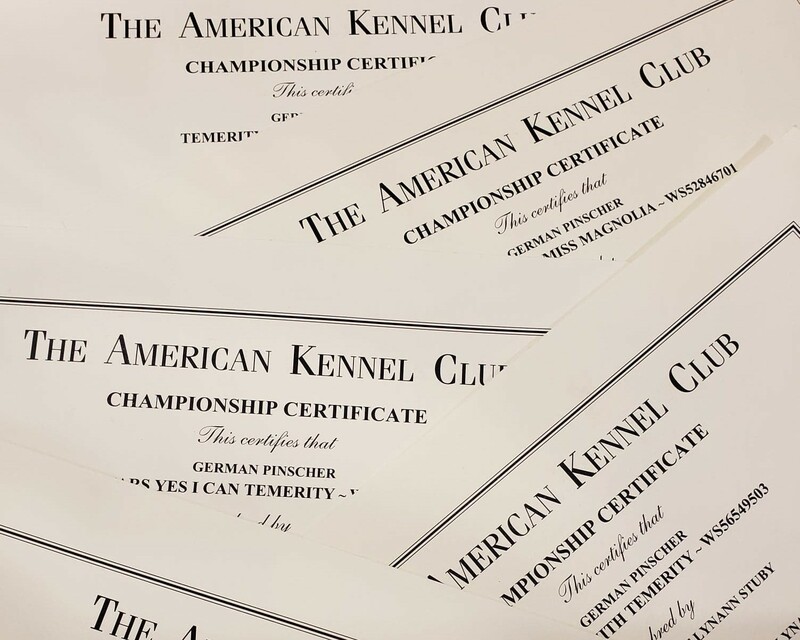 He is now an AKC Champion. 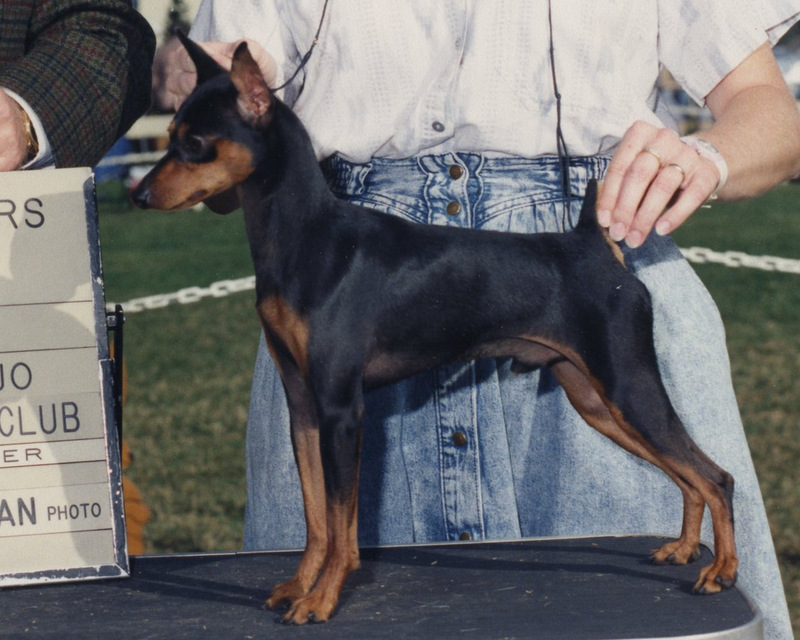 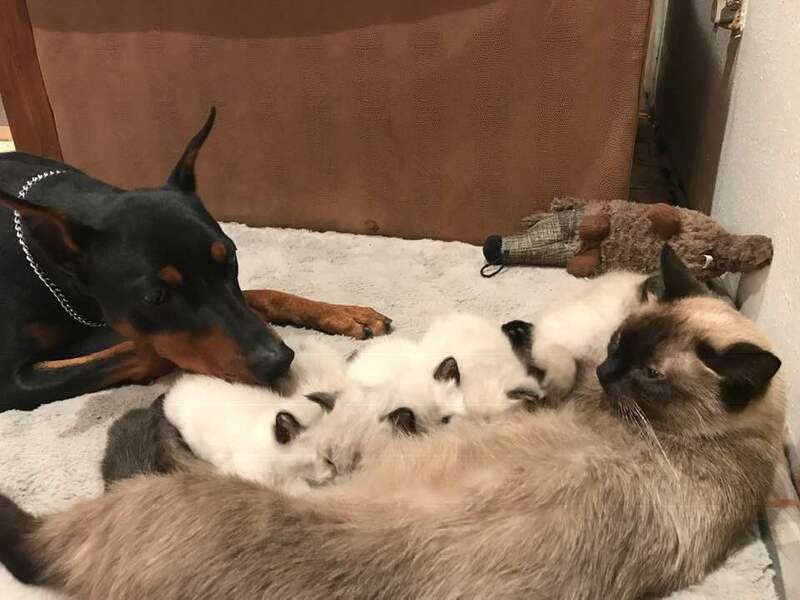 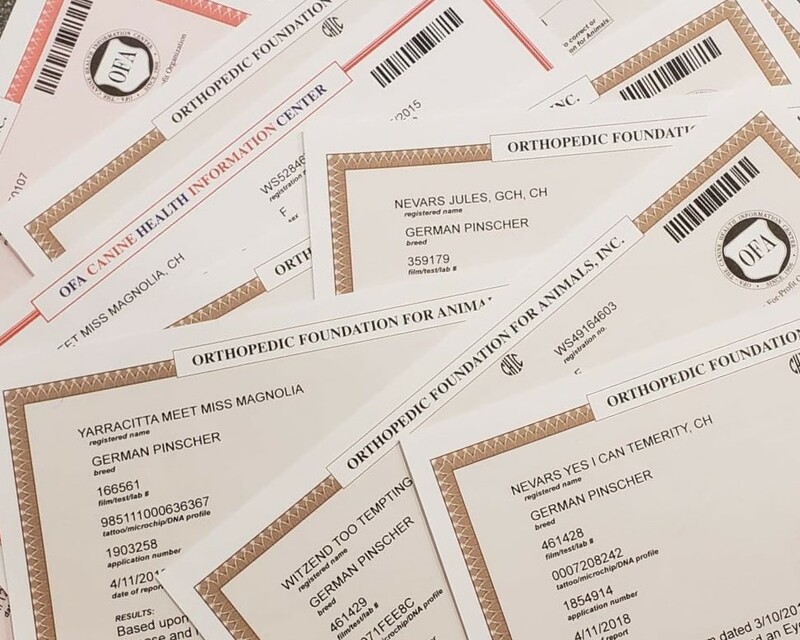 Breeder of 25 or more AKC Champions and Titlist from Health Tested parents. 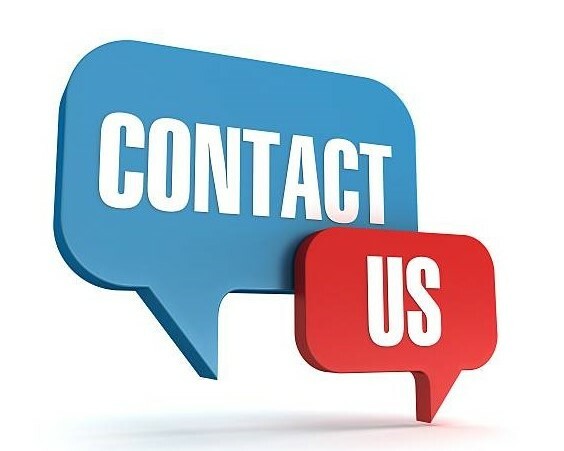 For Information on Our Dogs ~ Click on a photo below. 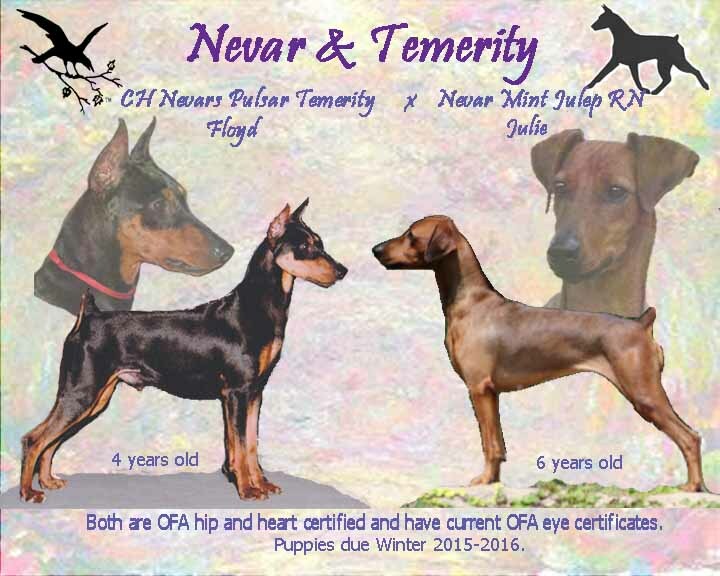 For Information on Dogs Shown that We Have Bred or Were Handled by Us ~ Click on a photo below. 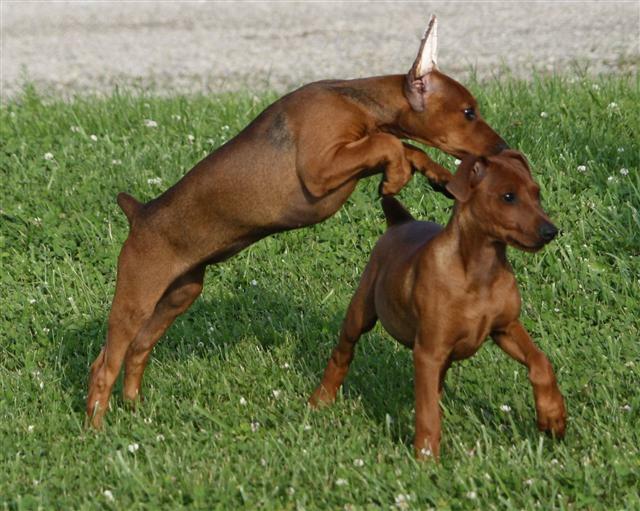 For Information on Our Puppies or See a Bunch of Pictures ~ Click on a photo below. 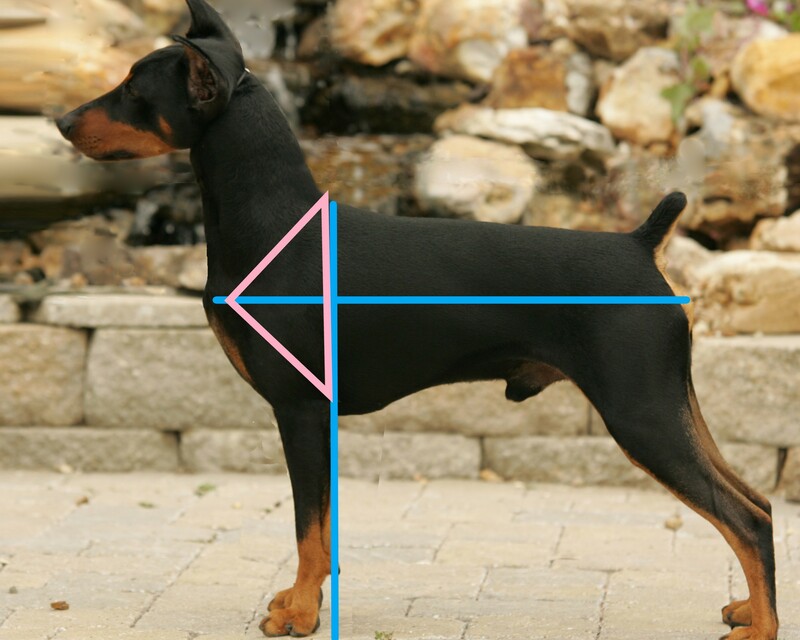 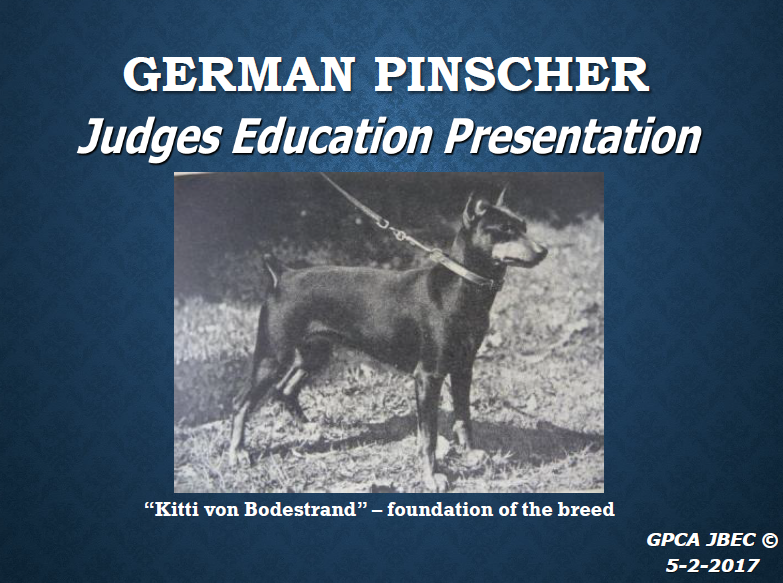 For General Information on German Pinschers ~ Click on a photo below. 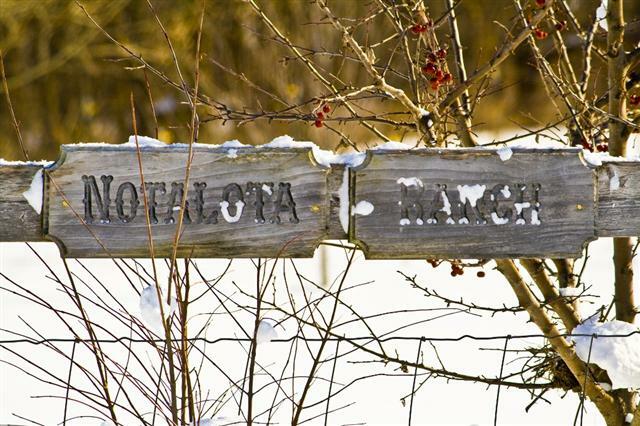 Website designed by NotaLotta WebDesign Todd and Amy Issleib The NotaLotta Ranch.